The light polarization website demonstrates how polarized sunglasses help on bright, sunny days, especially when the sun’s light rays reflect off a reflective surface like snow. 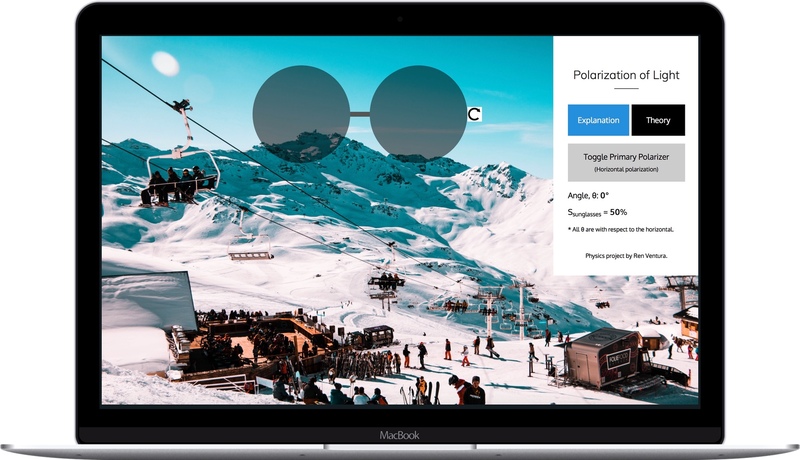 Users can imagine themselves on the snowy ski slopes on a sunny day, and the sunglasses can be dragged around the screen, and rotated. Reading through the “Theory” of the demo, you can learn what polarized lenses are doing to understand how they help. You can also go even deeper by enabling a second polarizer and rotating the sunglasses to see how two polarizers affect the light in different ways. In addition to the demo, I provided a couple sections for contextual assistance – how to use the demo, and the physics theory behind it. 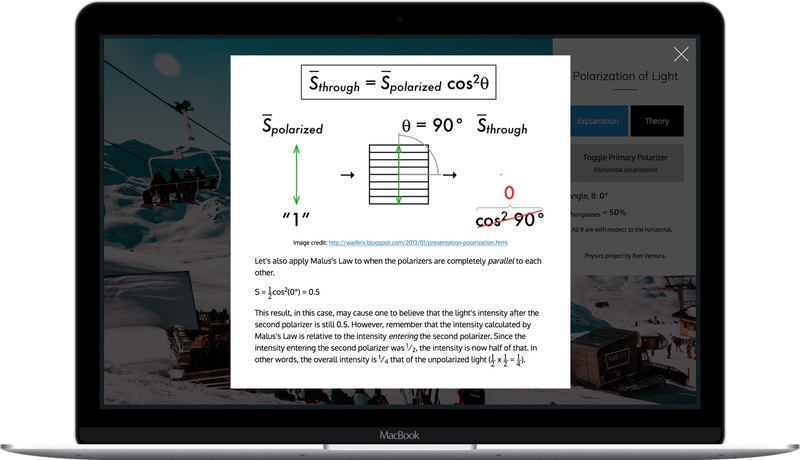 Together with visualizing the polarization phenomenon, the theory allows users to understand the physics behind how this all works – it’s pretty cool! Thoughts on the Polarization of Light project.